A Secret St Emilion Grand Cru: A perfect SIP! Franck Moureau represents the ninth generation of the same family to make wine at Château Béard La Chapelle, St Emilion Grand Cru located in a little valley just outside of the famous village of St Emilion. He is a perfect example of a SIP, a Small, Independent Producer (www.wineguidebordeaux.com/SIP-wine-club). A great location but as the family sold via the cooperative and then through a sole merchant until recently the château remains reatively unknown. It is in the process of changing. The property lies in a privileged location, a stone’s throw from Château Tertre Rôteboeuf in the village of St Laurent des Combes the home of other famous Premier Grand Cru Classé such as La Mondotte, Troplong Mondot and the newly acquired vineyards of Le Pin owners L’If. Joining his father Richard Moureau in 2006 and now running the 18 hectare vineyard single-handedly (with the help in the vineyards of two brothers who have worked for the property for 20 years), Franck has over the last ten or so years worked to align the quality of the wine with its prestigious terroir. With such illustrious neighbours, why has Château Béard La Chapelle remained in the shadows? Owner and winemaker Franck explains; “Although the property has been in my family for over 250 years, the grapes from our vineyards were sold to the St Emilion cooperative until the early 80s. It was then we started to make our own wine building a winery and underground cellar to age the wine in oak barrels. We sold it uniquely to a sole wine merchant. The world wine market has changed and today I try to sell direct and to develop export markets but I lack time with so much to do in the vineyards and cellars. Small Independent Wine Producer Dilemma It is often the actual wine merchants that are the main competition for producers such as Franck, able to undercut prices and offer the carrot of rare classified properties in exchange for business. It is simpler for buyers to purchase a range of wines from one buyer rather than spend time eeking out authentic wines from small independent producers. The wine merchants are already well established in the world wine markets, they are the first to arrive in new markets and have people on the ground 12 months of the year wining and dining the key buyers. The Future is Direct to the Customer’s Door cutting out the middle men and keeping prices low “Today we are focussing on the home market which represents around 70% of the total Bordeaux market and the more traditional markets in Europe such as Belgium and the UK (hôtels, restaurants and specialist wine merchants). “Since my arrival in 2006 I have made a number of changes to maximize the potential of Béard La Chapelle, a property that has been in my family for 9 generations. I have studied organic vine cultivation and have tried to incorporate a preventative holistic thinking into what I do. Grass Roots – Starting with the soil we have worked hard to bring it to life. We have stopped using herbicides and use cultivation to control weed growth. We cultivate with hoes and harrows to force the roots to descend deep. During the winter we cover the roots with soil to control weeds and uncover them again in the Spring. We use natural grass in alternate rows to control vigour according to the different plots and their soils. I work on finding a balance between the vine and the soil which permits most of the time to control the vigour of the vine to obtain a qualitative yield. I try to use the least sulphates possible in my vineyards and only spray when really necessary and in the right conditions to avoid unnecessary loss. I am trialling use of an organic vegetable oïl Codacide to increase efficiency. Complexity – Our 18 hectare property is made up of 30 different ‘terroir’ which we try to treat as individually as possible. 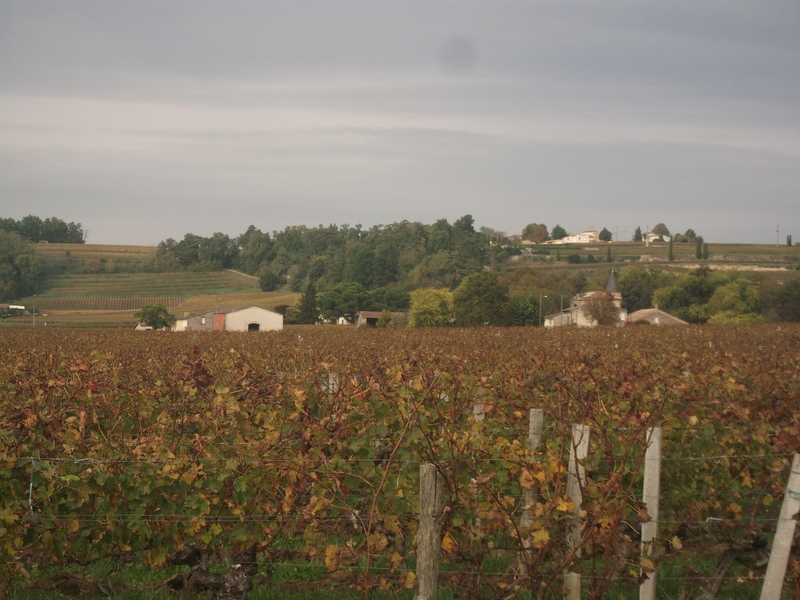 The range of soils includes clay limestone on the slopes and ‘pied de côtes’, deep sands and ‘crasse de fer’ iron deposits. Blending these different styles of wines together gives Béard La Chapelle a certain complexity. We regularly do soil analysis to evaluate the nutrient and organic composition of the soil rectifying what is necessary. I only use organic fertilizer. I have undertaken a number of replantings since arriving enabling me to refine the choices of variety and rootstock according to the plots. 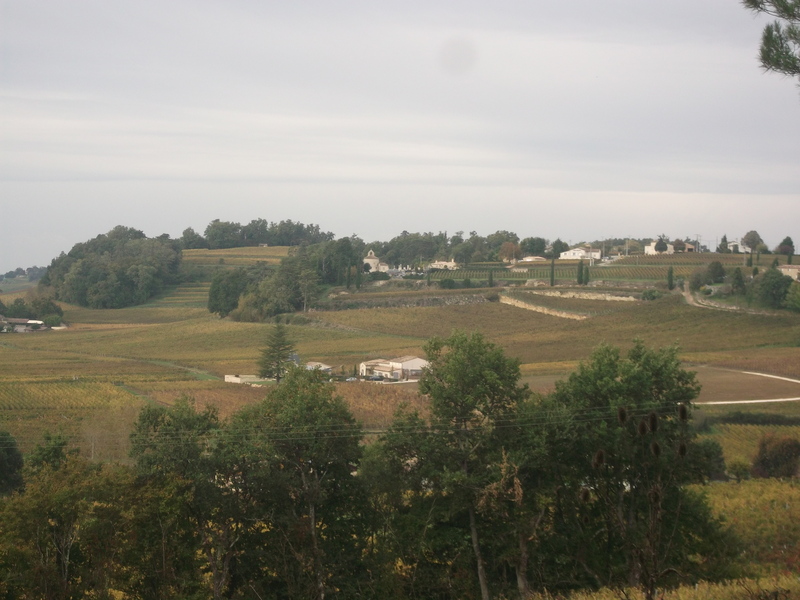 I have been able to recently develop the size of the property taking advantage of an opportunity to buy some plots close to Château Pavie (recently promoted to Premier Grand Cru Classé A). 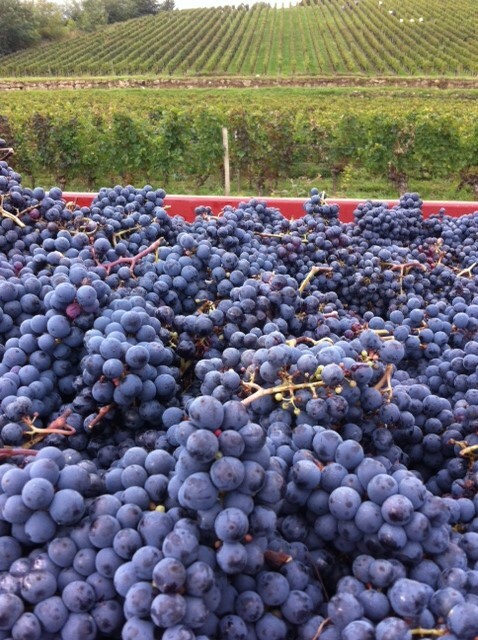 Plot-by-plot – The individual plot treatment continues in the winery. With small vats we are able to do a plot by plot vinification. I like to do a prefermentation cold soak reducing temperatures to 8°C to extract gently the colour and fruit. Fermention in my cellars happens naturally without the need to add any additional yeasts. Gentle Extraction – I like to maximize extraction during the initial aqueous phase of fermentation with 4 gentle pumping overs per day which gives good purity of fruit. I do a sort of soft “pigeage” daily using a stick which pumps carbonic gaz from the bottom of the vat which pushes the must in a fountain over the top of the cap. This technique works very well and I use it increasingly as the alcohol extraction progresses, to not extract any aggressive tannins from the pips in particular. It is a very effective technique which is not that well-known! Macerations on the skins last for around 4 weeks in all.